THE SCHOOL FOR CONTEMPORARY DANCE AND THOUGHT (SCDT) proudly presents BRUJA// FUGITIVE MAGESTY with Minneapolis based- Taja Will. Will, named “One to watch, one to embrace” in Metro Magazine, shares a magical solo about the preservation of identity. Bruja // Fugitive Majesty is an evening length solo woven from Will’s personal mythology as a queer, transracial adoptee. Bruja, meaning Witch in Spanish explores the archetypal characters of the Queen, Warrior, Lover and Healer. Will has come to know herself as a cultural fugitive, taking on personality as it fits; shape-shifting as way to escape displacement; this is the preservation of identity. 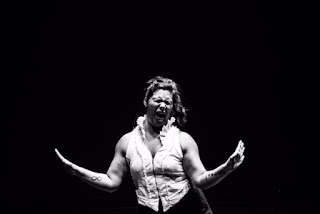 BRUJA is supported by the Jerome Foundation and Foundation for Contemporary Arts and premiered in San Francisco at the Joe Goode Annex. Taja Will is a queer, Latina artist based in Minneapolis Minnesota. 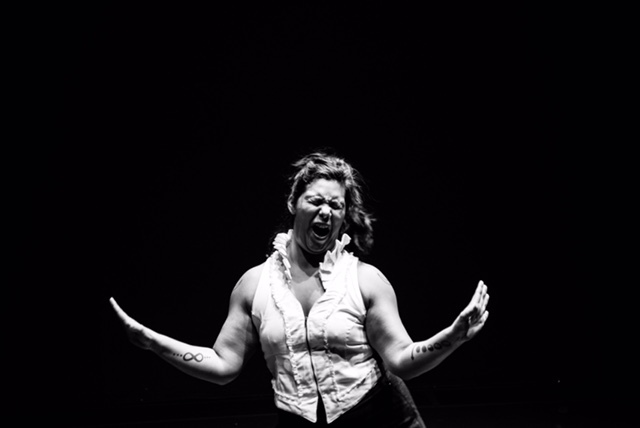 Her body of work includes multi-dimensional contemporary performance and holistic therapy. Will’s aesthetic is one of spontaneity, bold choice making, sonic and kinetic partnership and the ability to move in relationship to risk and intimacy. Will’s work has been presented throughout the Twin Cities and across the United States. Will has been named ‘One to watch, one to embrace’ as the Keeper Award recipient in 2010 from Metro Magazine, she received a 2011 Sage Award nomination, named a highlight of the 2014 dance season by the Star Tribune for her role in Off Leash Area’s Maggie’s Brain and was recently a featured artist in Lavender Magazine’s ‘Choreographers that Move Us’.